Canary Islands: You’ll love it! The Canary Islands are a popular destination for a holiday. 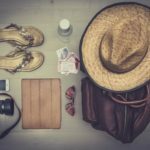 Known for rugged landscapes, black, white and golden sandy beaches, and turquoise seas are all a draw for hoards of holiday makers. It is the warm and constant mild temperatures that encourage us to flock to this destination year after year. One destination that is a favourite is Fuerteventura. 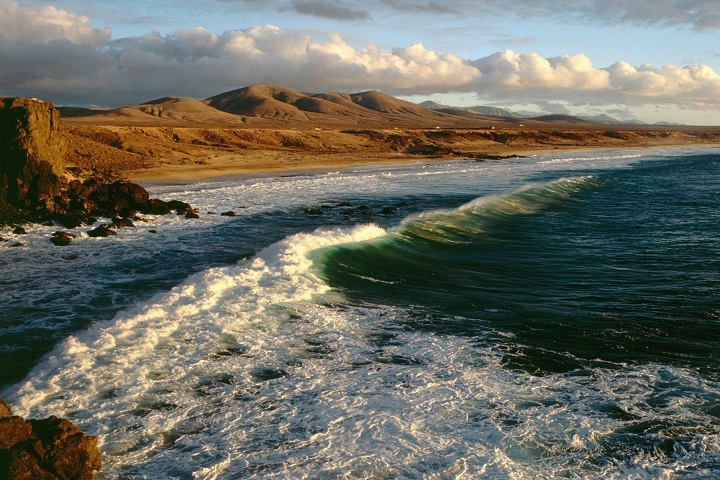 Fuerteventura, sits just off the north coast of Africa and is second largest Canary Island. Fuerteventura has white sandy beaches and year round mild temperature. The beaches are engulfed by cliff tops and sheltered coves, with waves suitable for water sports and the favourites are windsurfing, surfing and water-skiing. Fuerteventura, is different to the other Canary Islands, with enormous, looming and dunes and over a 150 beaches, this island is home to some of the best beaches in Europe and can be a perfect, idyllic location to a luxury holiday destination. Cofete beach is one of the most famous beaches amongst the Canary Islands and is considered a virgin beach as there is no developed areas across these 12 kilometres of white sands. A must see site as this beach is truly unspoilt. The half moon beach of La Concha beach, El Cotillo, is sheltered by a natural lava reef, which is pristine and is considered to be one of the best beaches in the Canaries with pristine white sands, calm, clear water and has an abundance of marine life. The village of El Cotillo is popular destination in Fuerteventura, hosting many seafood. El Cotillo is a very small village, but you can find many good seafood restaurants. You can follow the road from the beach to the lighthouse and adjacent is a little fisherman’s museum giving a perspective and history of the island. Many hotels are located near by some of the other beach locations, there are some amazing 5 star hotels in Fuerteventura, that can add to the luxurious, relaxing experience of your holiday in the sun. Fuerteventura has a number of activities to enjoy that make the most of this fantastic location. If you are looking for a hotel then Iberostar.com has some fantastic hotels with amazing facilities. There are three hotels in Fuerteventura. With an abundance of rooms, double, family rooms, some have private sun decks, chill out terraces, sun loungers, VIP lounges, SPA’s, offering luxury all inclusive packages, with drinks and fresh cooked food available throughout the day and many bars to enjoy a drink throughout the day. There are children’s clubs for all ages with activities to keep your children entertained for your holiday. Then Fuerteventura Palace is built on a cliff and slopes into the sea, allowing guests to experience their surrounding, such as the 25 kilometers of sand around the hotel. Inside the hotel, the first three floors feature a natural wall which are the original rock formations of the cliff upon which the hotel is built on.
. Visit the town of La Oliva became the capital before Puerto de Rosario became the capital, finding souvenir and craft shops in the town centre, and the chance to sample a local delicacy of queso majorero – fried goat´s cheese served with local jam or honey. For some more adventure head to Ajuy Caves, take the coastal path and seek out some amazing caves, once the hideouts of pirates. On return you may catch a glimpse of the famous American Star shipwreck lying on the small Playa de Garcey beach which ran aground in 1994 during a severe storm. For a more serene experience, La Concha on the Isle of Lobos, is a nature reserve, inhabited by monk seals, and a boat trip to this island is a worthwhile visit for a chance to see birds and plants that exit only on this island and nowhere else on the planet. Or Corralejo Natural Park is a stench of beach and coves covering 9 kilometers, this is a protected area of endless stretches of sand. Fuerteventura offers a relaxing and cultural experience. It is an island like no other and to enjoy this island, an all inclusive luxury experience is the best way to do so. 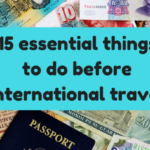 Spend the time planning your itineraries where you mean to visit what activities you want to do, rather than trying to work out if you have packed everything, where can you eat, does your spending budget allow you to go on these planned excursions. An all inclusive experience gives you the luxury and time you can afford to spend your holidays having fun in the sun.